A Guggenheim and Berlin Prize Fellow, a recipient of the Dorothea Lange/Paul Taylor Prize from Duke University’s Center for Documentary Studies, and the Bechtel Prize for Educating the Imagination from Teachers and Writers Collaborative, Mary Cappello is a former Fulbright lecturer at the Gorky Literary Institute (Moscow, Russia) and currently Professor of English and creative writing at the University of Rhode Island. Cappello was trained in SUNY/Buffalo’s poetics program and in its Center for the Psychoanalytic Study of the Arts where she took her Ph.D. in the late 1980s with a specialization in nineteenth-century American literary and cultural studies, and the then-burgeoning field of Medical Humanities. In the mid-1990s, she began creating experimental prose pieces, which now might be categorized as creative nonfiction and lyric essay, but that she was composing with an eye toward poly-vocality and unanticipated form. “My Mother Writes the Letter that I Dream,” an essay about her mother’s agoraphobia and her use of letter-writing as a way of leaving the house, led to her first book, Night Bloom (Beacon Press). A multi-genre work, Night Bloom is a meditation on the twinned legacies of violence and creativity in a working-class Italian American family. Following a tradition of queer portraiture (e.g., Gertrude Stein, H.D., David Plante, Hilton Als) and queer theory (especially Michel Foucault and Eve Sedgwick), Cappello published “discursive double portraits” of gay life in the United States in the age of AIDS. In response to her nation’s refusal to dwell in discomfort and embrace uncertainty in the aftermath of the events of September 11th, her second book, Awkward: A Detour (Bellevue Literary Press), a Los Angeles Times bestseller, ranges across subjects as diverse as ontological discomfort and situational silence, immigration and stuttering, the life and work of Rainer Werner Fassbinder, Emily Dickinson, and Henry James, tact and its etymological kinship with “touch,” precociousness and developmental imperatives. “Getting the News,” an excerpt from Called Back that appeared in the Summer 2009 issue of The Georgia Review, won a GAMMA Award for Best Feature from The Magazine Association of the Southeast. Part psychobiography, part cultural history, part philosophical meditation, Cappello’s fourth book, Swallow: Foreign Bodies, Their Ingestion, Inspiration and the Curious Doctor Who Extracted Them (The New Press, 2011) emerged out of a collection of “foreign bodies” housed in Philadelphia’s Mutter Museum: nearly 2000 swallowed or aspirated “things” that pioneering laryngologist Chevalier Jackson extracted nonsurgically from the air and foodways of people in the early 20th century and that he also saved and framed. Swallow plumbs all manner of Jacksoniana and in the process restores some of the narratives, lives, and longings that haunt the peculiar foreign body collection. Cappello devised a series of “Illustrated Readings” based on Swallow for such venues as Brooklyn’s Observatory; The Velaslavasay Panorama in LA; The Smithsonian Institution (NMAH); The West Laurel Hill Cemetery; as Keynote Speaker for the 6th Annual Foreign Body Pediatric Airway Endoscopy Course at Children’s Hospital of Philadelphia; as Presidential Lecturer for the ABEA (American Broncho-Esophagological Association); as Distinguished Visiting Professor for U/Penn’s Grand Rounds in Otorhinolaryngology; for the Hartford Medical Society; for Rhode Island Hospital’s Grand Rounds in Gastroenterology; and at “Das Wunderkino: A Cinematic Cabinet of Curiosities,” 12th Annual Northeast Historic Film Summer Symposium in Bucksport, ME. Cappello’s latest book, Life Breaks In: A Mood Almanack (University of Chicago Press) takes on the ineffable subject of “mood” and its affinities with clouds, sonic atmospheres, “sonorous envelopes,” and dioramas. Rather than yoke mood to an age-old taxonomy of emotion, Cappello uses what she calls “cloud-writing” to explore mood as architecture and air; as envelope and sphere; as niche, sound, skin and reverberation; as wave, voice and hue; as temperature and tempo; as making and creating. She is currently working on a book-length series of linked prose pieces on “dormancy,” its various meanings, shades, disciplinary nooks and unexpected locales; a new collection of essays (Cold Cases and Other Irresolvables); and a suite of studies, or literary etudes, on the nature of study in the information age. Some of Cappello’s recent essaying addresses Gunther von Hagens’ bodyworlds exhibit (in Salmagundi); sleep, sound and the silence of silent cinema (in Michigan Quarterly Review); the psychology of tears (in Water~stone Review); and the uncanny dimensions of parapraxis and metalepsis (in Interim). Excerpts from Appearances: Scenes from a Queer Friendship appear in American Letters and Commentary, and Quarterly West. Cabinet Magazine, Hotel Amerika, Southwest Review, Western Humanities Review, Raritan, and numerous anthologies, including most recently the Cambridge Companion to Autobiography; Bending Genre: Theorizing Creative Nonfiction; and After Montaigne have also provided homes for Cappello’s work. 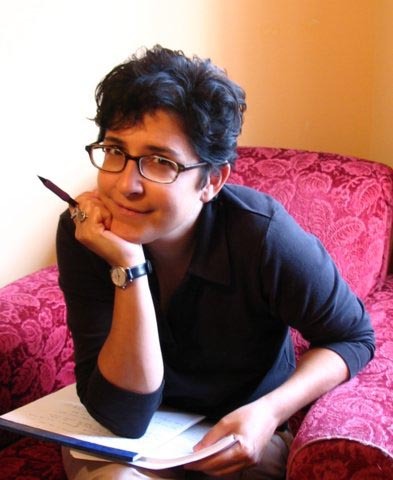 At the University of Rhode Island, Cappello teaches undergraduate and graduate Creative Writing Seminars and Workshops in Literary Nonfiction; Experimental Nonfiction; Memoir; and Poetry. Antebellum US Lit: Literary Acoustics; Emily Dickinson and Gertrude Stein; Immigrant Subjectivity and Documentary Discourse; Charles Chesnutt and James Baldwin; The Contemporary Memoir in Theory and Practice; Literature and Medicine: An Ethics of Care; Literary Nonfiction: Barthes, Baldwin, and Sontag.